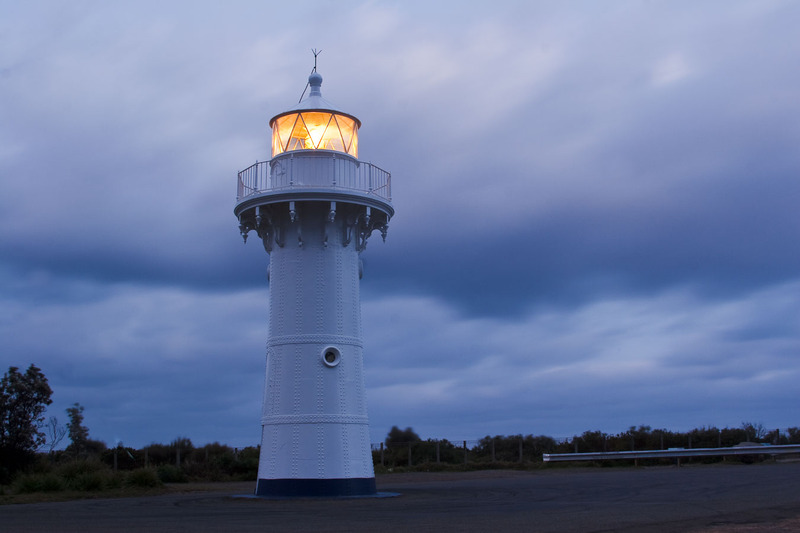 Warden Head Lighthouse | Lighthouses of Australia Inc. 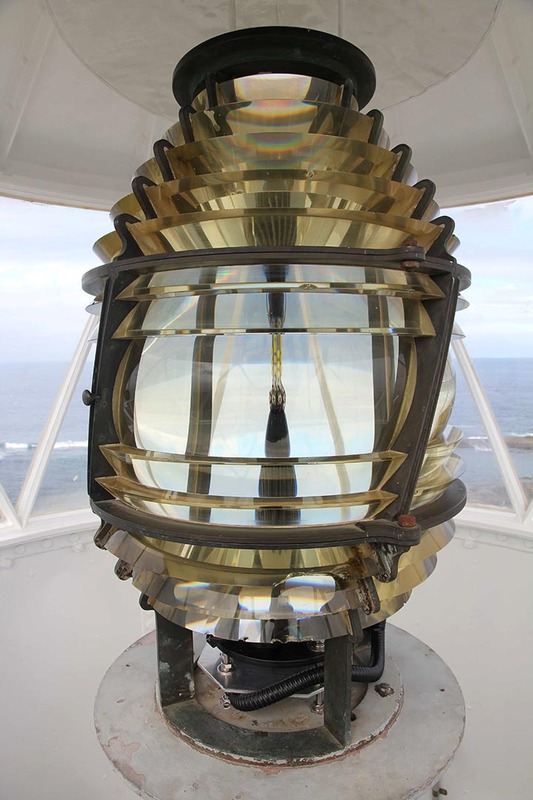 Originally built on the Ulladulla Breakwater in 1873, the light was shifted to Warden Head in 1879. It is one of only 2 towers in New South Wales made from wrought iron plates. 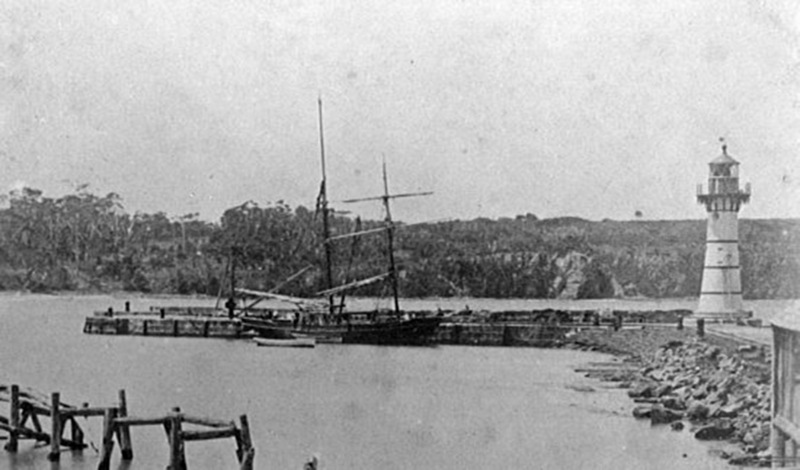 The combination of the Bomborras (north and south reefs) and Warden Head led to the loss of several ships and lives as they tried to enter the Port of Ulladulla. The lighthouse was built in 1873 and was originally located at the entrance to the harbour in the fishing town of Ulladulla on the NSW Coast. 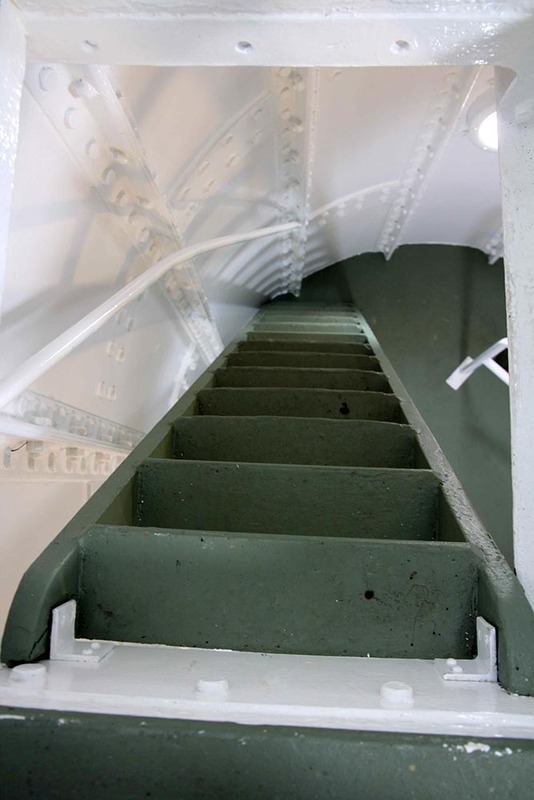 It was designed in the Colonial Architect’s Office by Edward Moriarty in the same style as the Wollongong Breakwater Light. 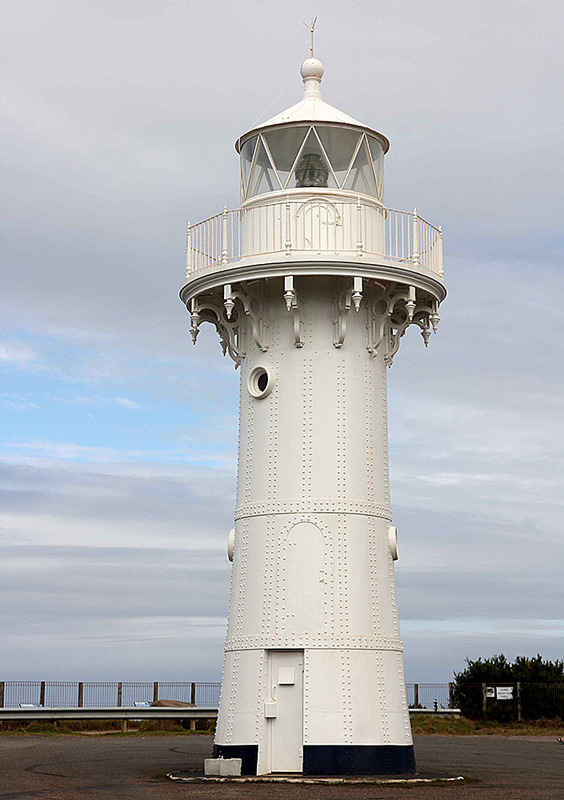 Joseph Mather won the contract to build both lighthouses, and this was built after he had completed the first one at Wollongong. 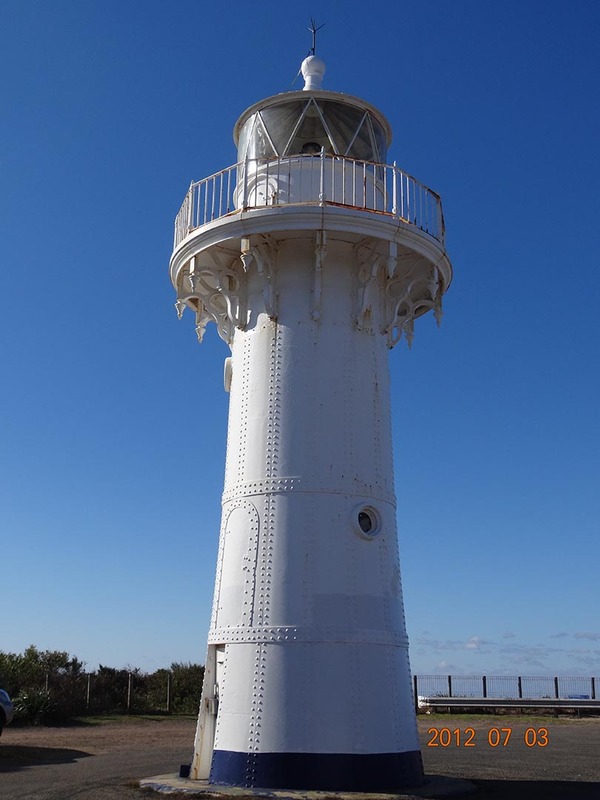 These two lighthouses were unusual in New South Wales in that they were made of curved wrought-iron plates riveted together to form a shell, in the fashion of some Queensland, South Australian and Western Australian lighthouses. The wrought iron plates were manufactured and assembled in Mather’s foundry at Wollongong, after which they re-assembled them on site. The tower is topped with a small ornate balcony with an iron handrail. 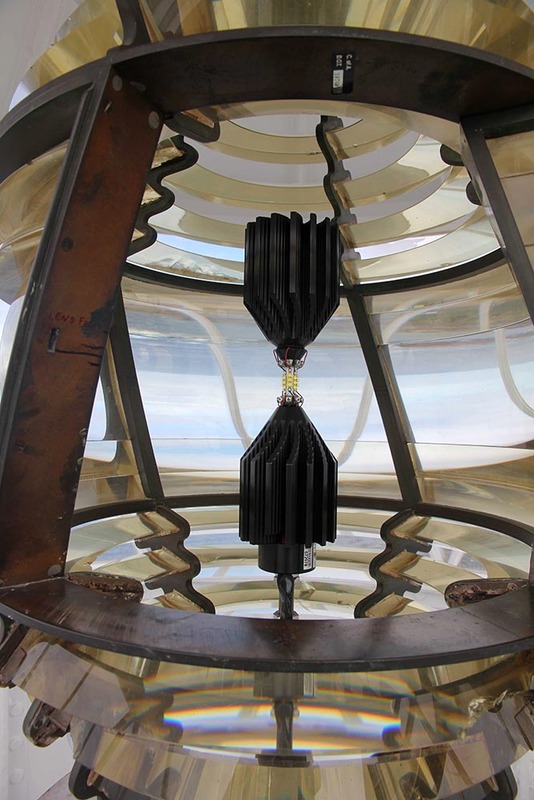 The first apparatus was a fixed oil wick light that gave off 800 candelas. 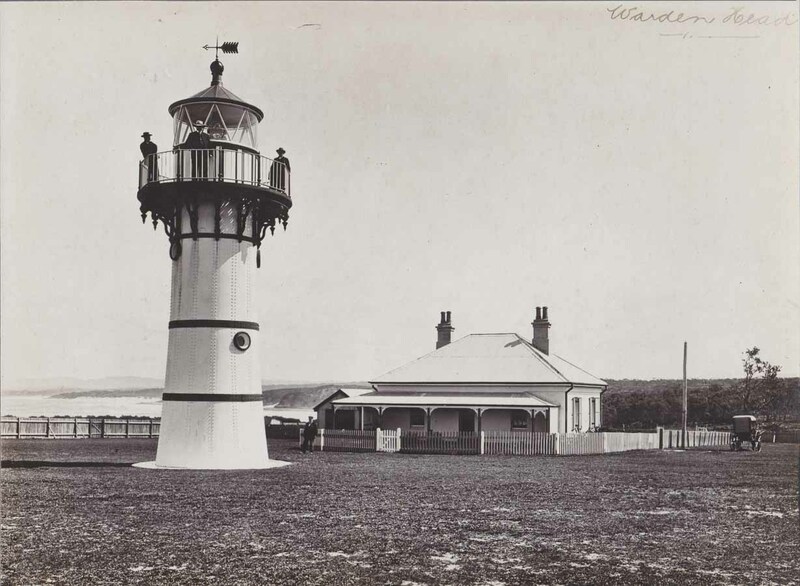 Under James Barnet’s direction the lighthouse was relocated to Ulladulla’s south headland, Warden’s Head, in 1889. In 1920 the original oil lamp was replaced with a flashing light powered by acetylene gas for automatic operation and the station was demanned. The next conversion was to to electricity in 1964. The light is now battery operated and float charged from 240v mains supply. The current road out to Warden’s Head and car park was developed by the Ulladulla Council in the 1940’s to encourage visitors to the lighthouse. The first Lighthouse keeper was William Gambell, an ex-sea captain who lived with his wife and family in a slab house on the beach. With the re-location of the lighthouse, the keeper’s cottage were also re-erected at Warden Head, in 1889. After automation and demanning the keeper’s cottage was removed from Warden Head to the nearby town of Milton in 1922 where today it is used as a doctor’s surgery. The lighthouse grounds are open all year. The tower is not open to the public but is found at the end of Deering St, Ulladulla.